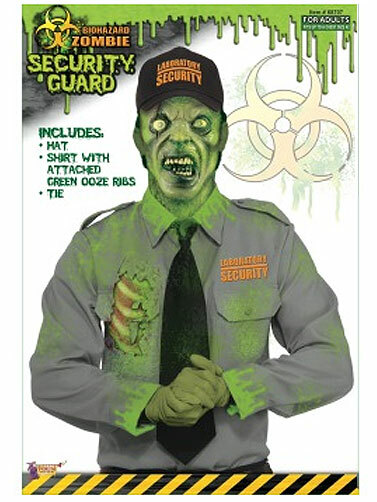 You will be ready to work the graveyard shift wearing this Biohazard security guard costume this Halloween. 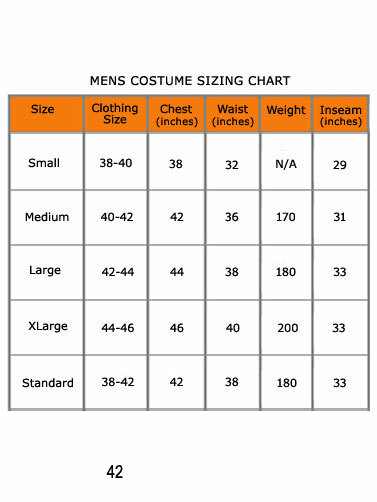 Adult sized costume includes adjustable solid black cap with the words Laboratory Security on the front, gray Polyester shirt with the words Laboratory Security featuring attached latex "exposed ribs," and a Polyester black tie. Shirt and tie have been pre-stained with "biohazard green ooze." Flashlight, pants, belt, makeup and wig are not included. 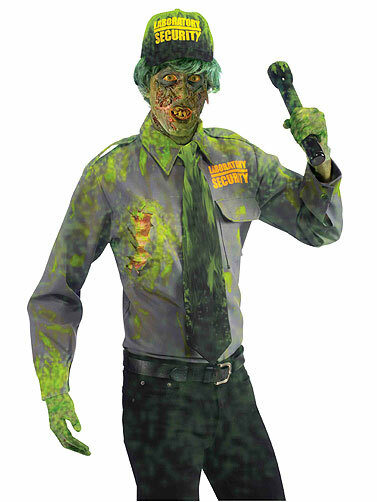 Hand wash. Biohazard Zombie Security Guard is a Standard Adult Size costume. One size fits most.